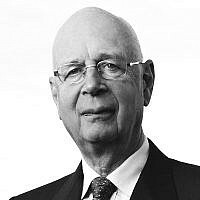 Professor Klaus Schwab is the Founder and Executive Chairman of the World Economic Forum, an independent, impartial, not-for-profit Foundation committed to improving the state of the world. He holds two doctoral degrees, one in mechanical engineering and one in economics and social sciences. He spent a year at Harvard University and went on to be the youngest professor at the University of Geneva. He has received numerous international and national honours.